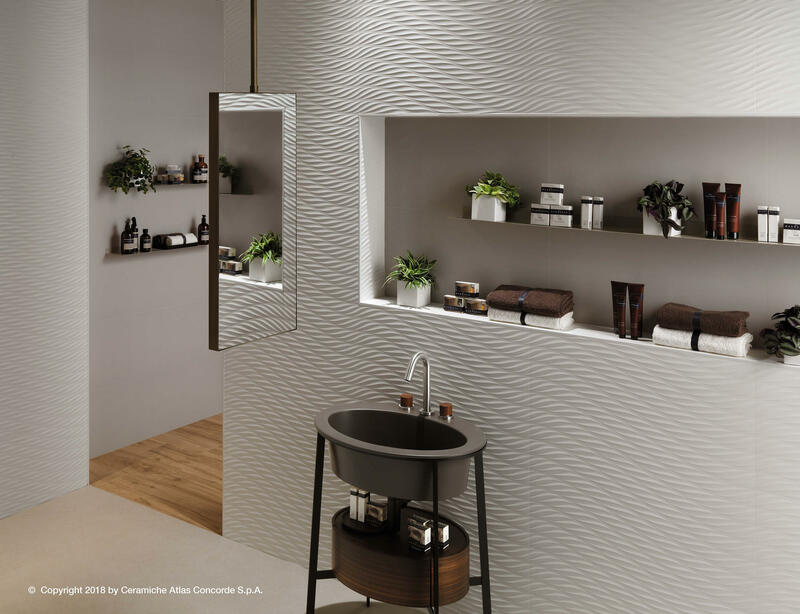 An extraordinary range of three-dimensional ceramic surfaces breathes life into walls decorated with elegant geometrical and textured patterns, to create spectacular interior architecture in contemporary commercial and living areas. 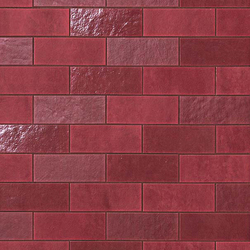 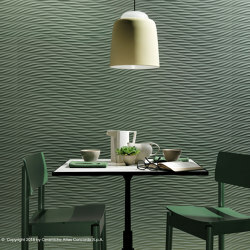 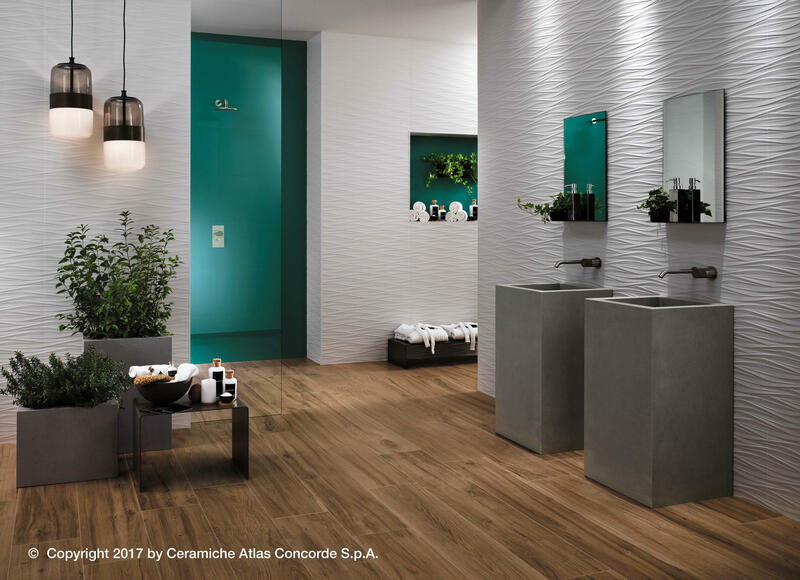 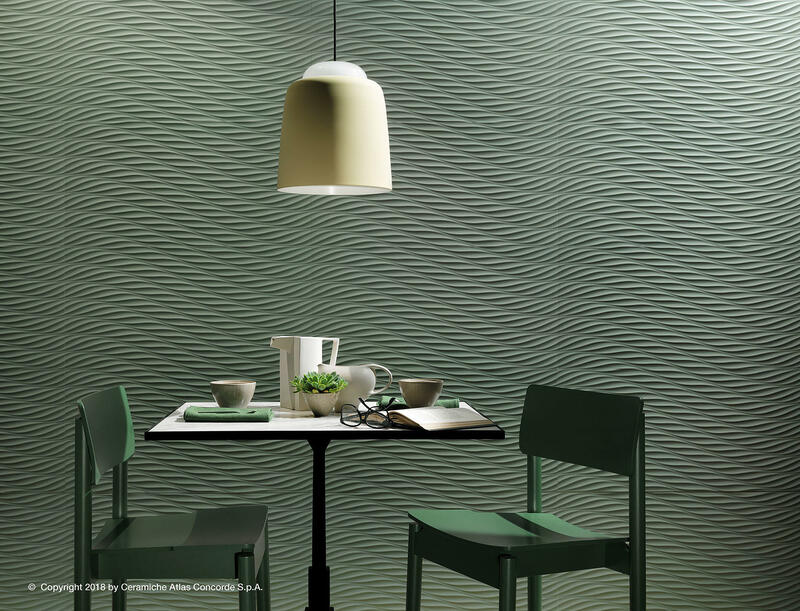 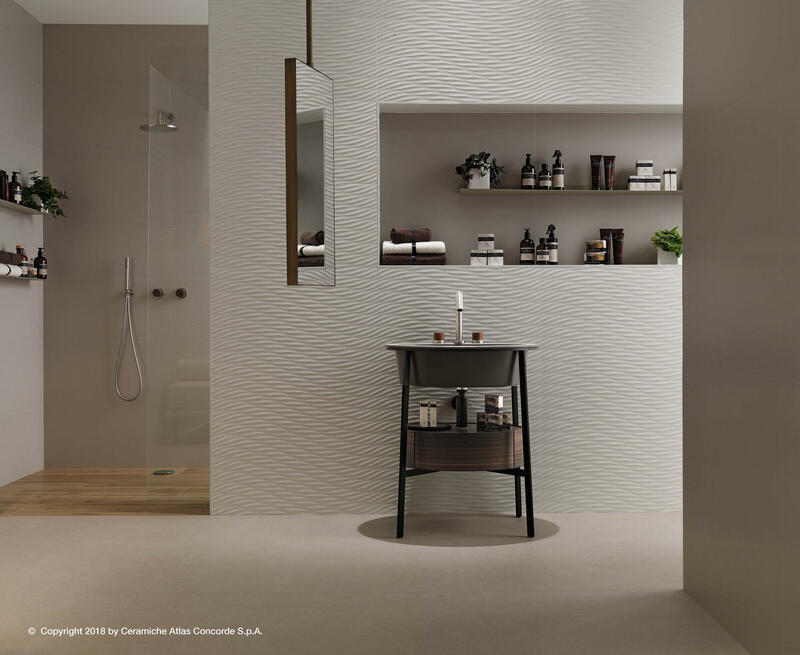 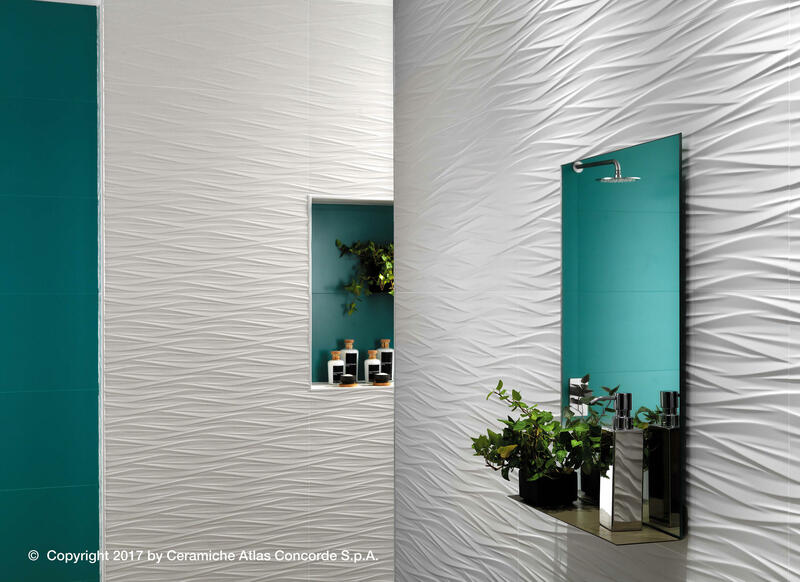 The result of aesthetic precision and careful manufacture, the 3D Wall Design collection combines an extraordinary decorative impact with the advantages of the highest quality white clay ceramic tiles, Atlas Concorde. 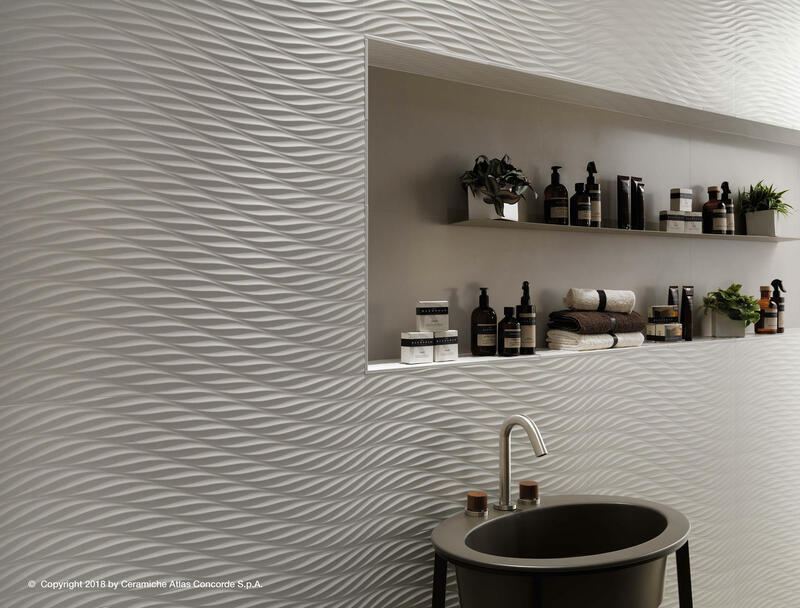 Splendid walls are animated by geometric designs, sinuous forms, multi-faceted patterns and elegant undulations for sophisticated and expertly studied surfaces in the format 40x80 cm (15 3/4” x 31 1/2”) and the large, spectacular 50x110 cm (19 5/8''x43 1/4''). 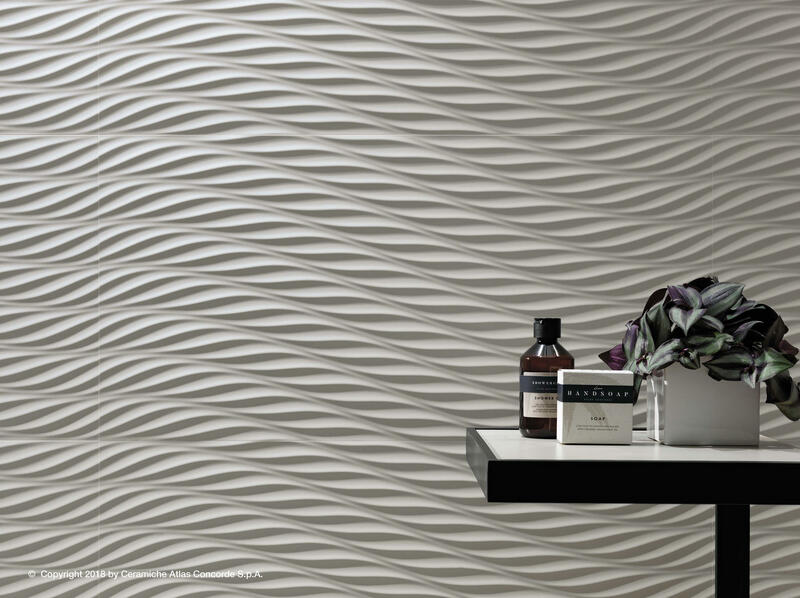 The Mesh and Plot patterns feature rippled lines that meet rhythmic, harmonious waves. 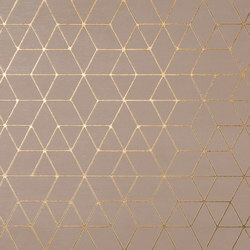 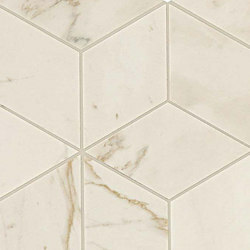 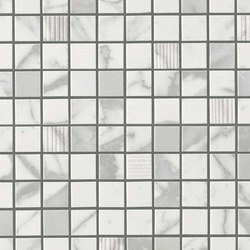 Geometric motifs underlie the simple, clean style of four textures: the essential strokes of Line; the polyhedral geometry of Diamond; the incisive geometry of the Grid pattern; and the variegated facets of Angle. 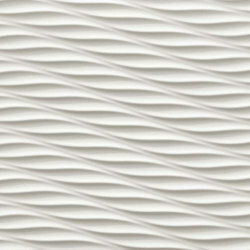 The Blade, Ultra Blade and Kite reliefs feature marked lines that come to life depending on the viewer’s position and the angle of the light. 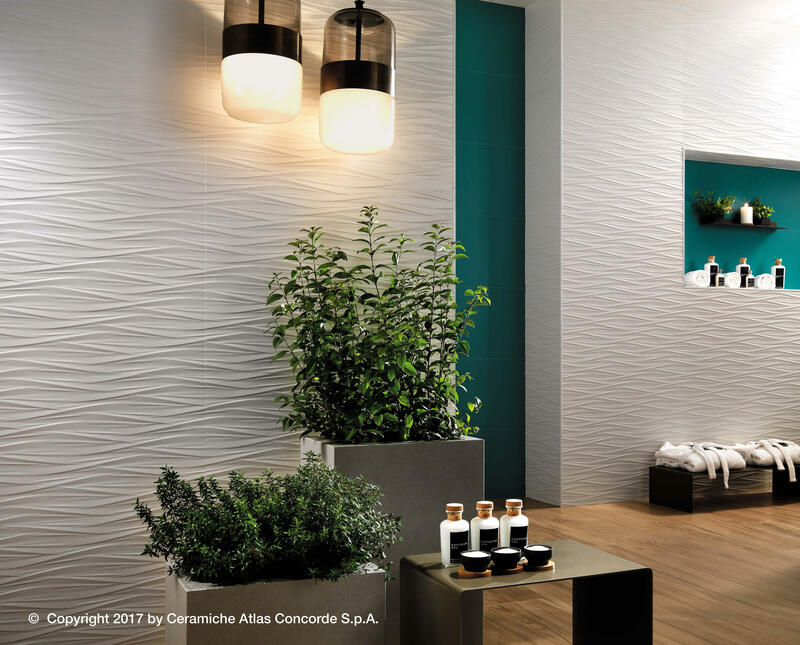 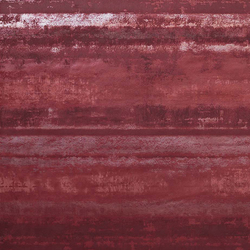 The sinuous, soft motifs of Flows, Wave and Ribbon are inspired by the natural world, with textures that recall sea waves or sand dunes. 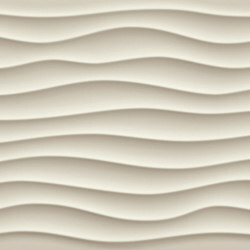 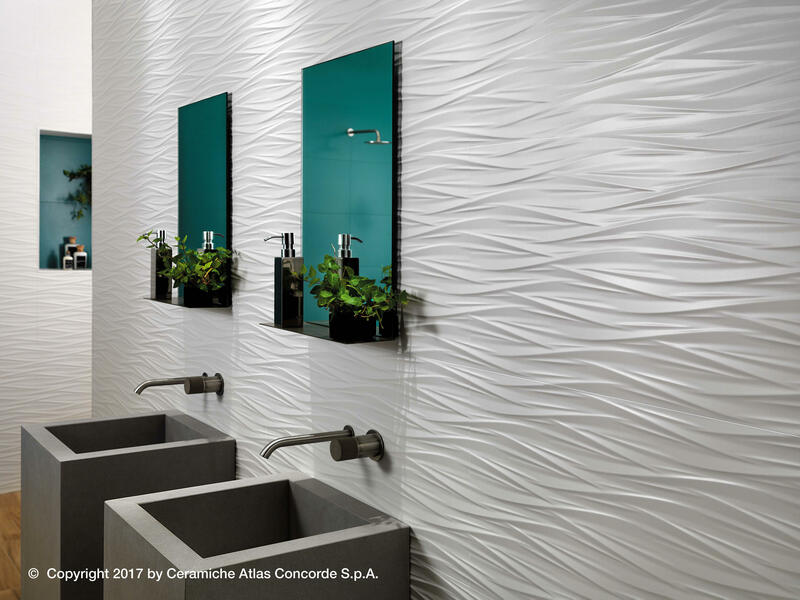 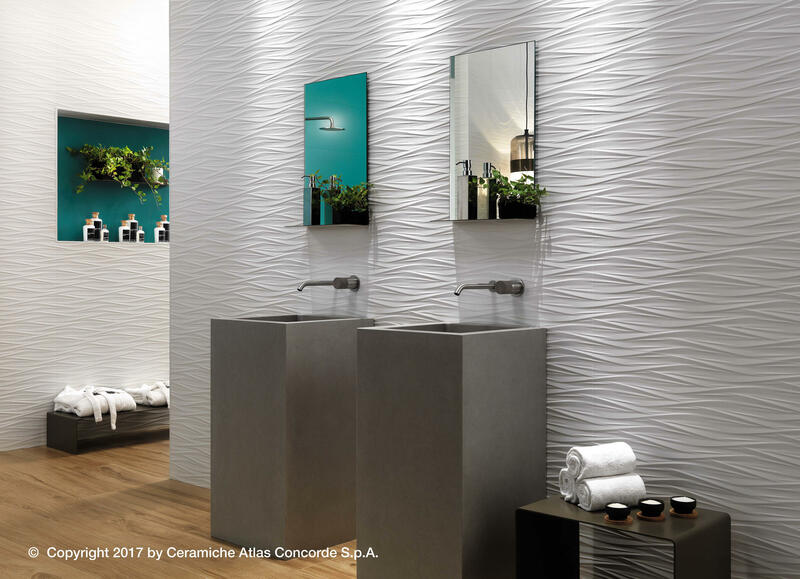 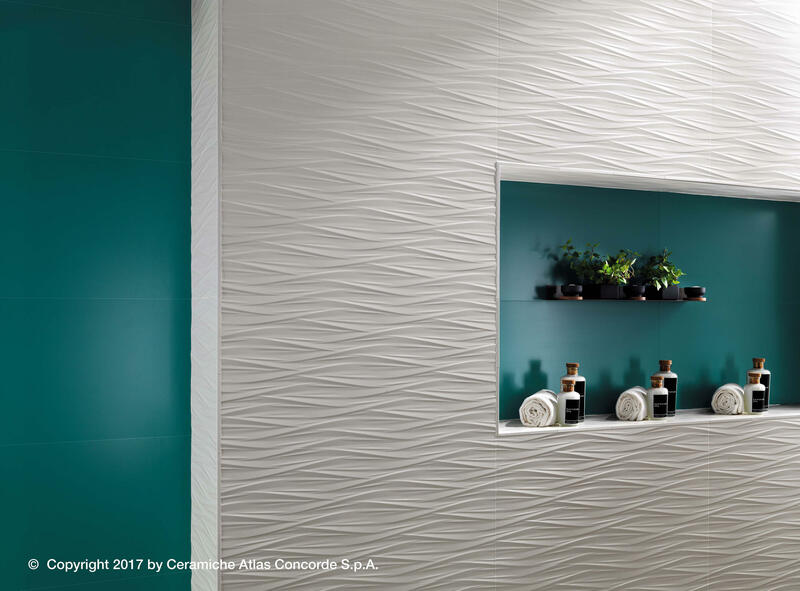 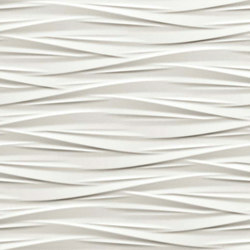 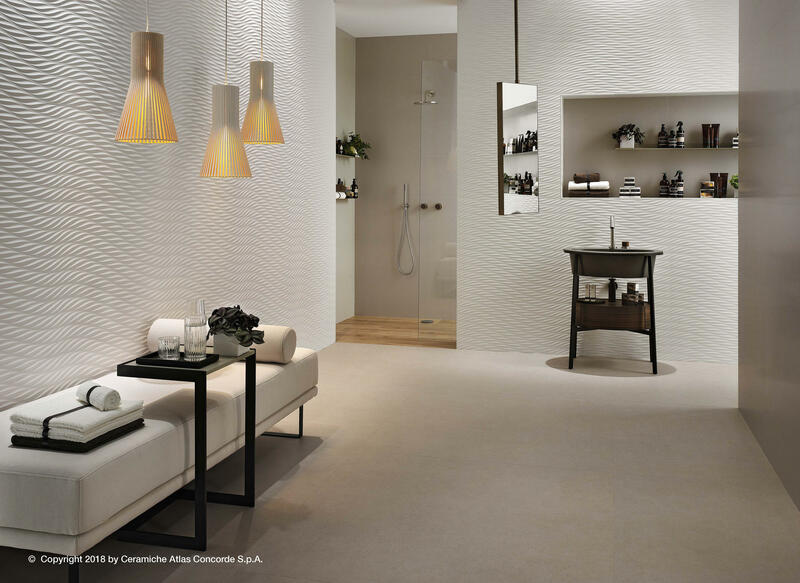 The Atlas Concorde three-dimensional ceramic wall tiles have a delightfully silky soft satin finish, featuring a surface that is incredibly velvety and luminous, accentuating the relief design when struck by light. 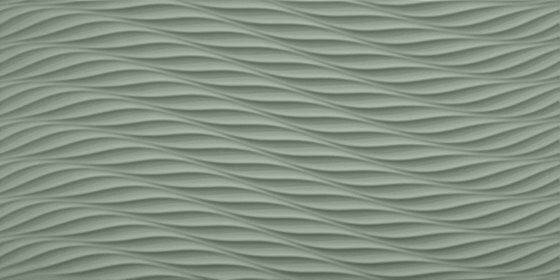 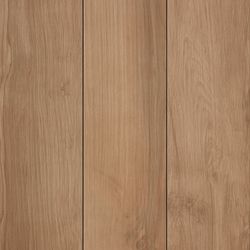 For the textures Grid, Wave and Ultra Blade, the resplendent, shiny finish animates the relief surface with reflecting highlights. 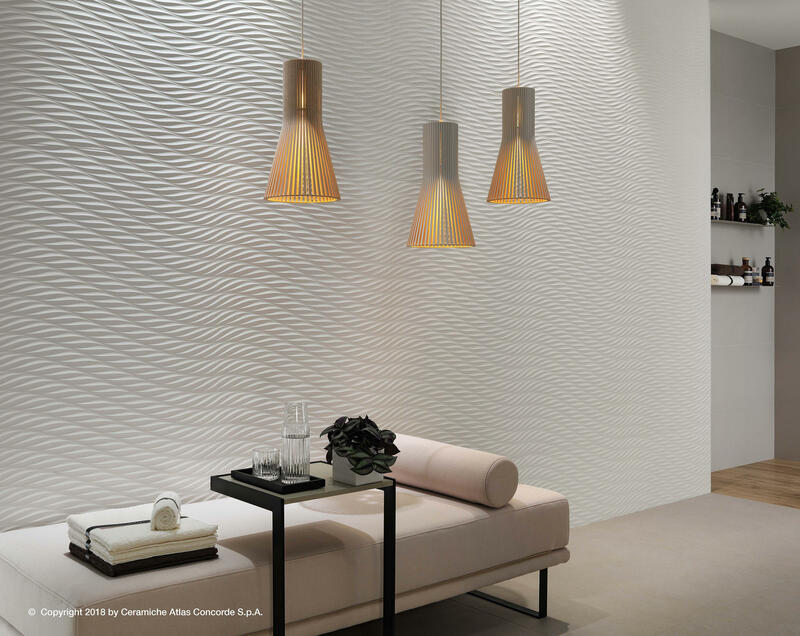 All the structures are available in bright White Matt, which brings out the contrast between lights and shadows. 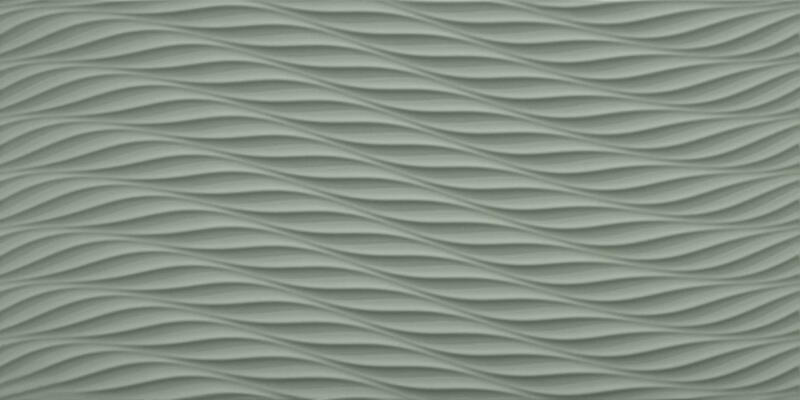 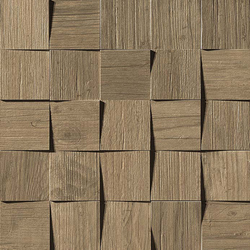 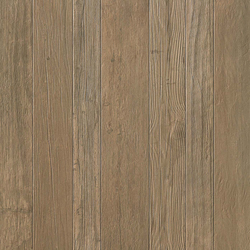 The warm tone Sand Matt underlines the softness of Ribbon and Dune, and the deep shade of Night Matt reinforces the personality of the Grid and Diamond designs. 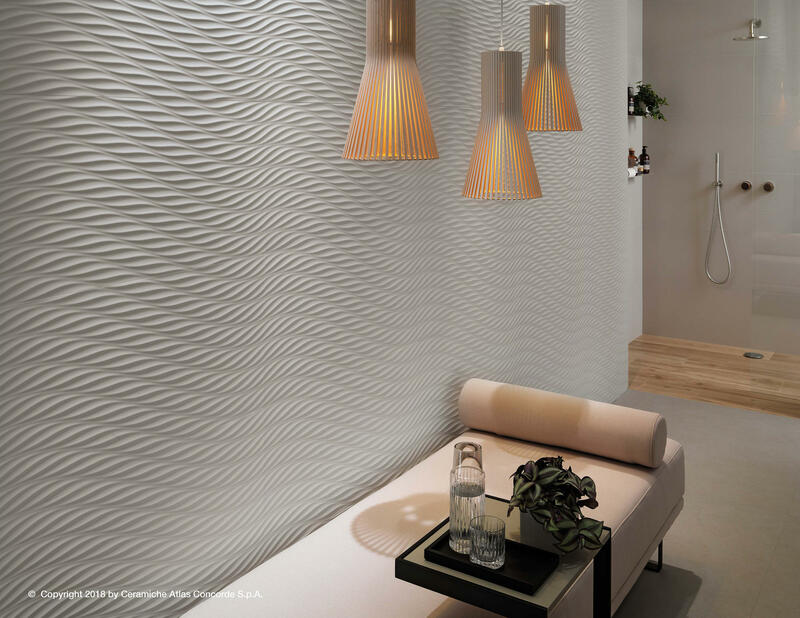 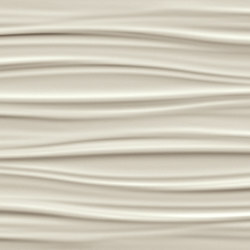 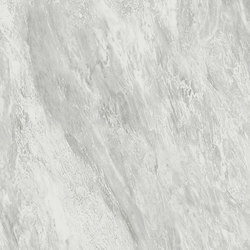 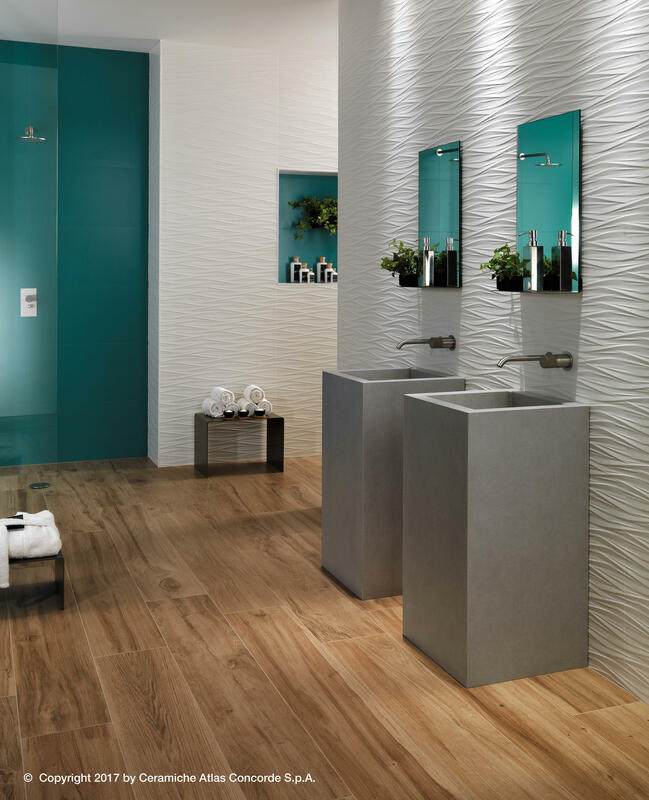 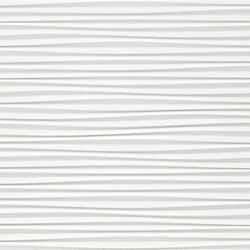 The smooth solid colours Solid White, Matt and Glossy, Solid Sand and Solid Night make it possible to design spaces where high-impact, spectacular wall tiles alternate with simple walls or dividers.